The trust started College of Pharmacy in the year 1987 with a vision to promote excellence in the profession of pharmacy in the name of their beloved leader as a token of respect and honour to late Sr. Dr. H.L. Thimmegowda, Ex-Minister of Health and family welfare, Govt. of Karnataka. The Objective of the trust is to provide the best infrastructure facilities and to have the facility raised to a level comparable to any major pharmacy institution in advanced countries. With this goal in mind, the trust, in close co-operation and guidance from professional experts in administration and teaching, developed from Diploma to P.G. level in this sprawling 40 acres green campus. Dr. H.L. 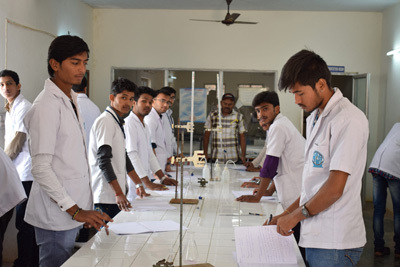 Thimmegowda College of Pharmacy aims to deliver pharmacy programme beyond the limits of academic curriculum by providing all-round education to the future pharmacists to meet the global challenges. The institute is second to none in facilities as it has modern facilities on campus and faculty rich in talent and experience. At present the institution is imparting D. Pharm B. Pharm, M. Pharm programmes successfully. All these Programmes are approved by PCI NewDelhi (Pharmacy Council of India), AICTE (All India Council for Technical Education) New Delhi, RGUHS (Rajiv Gandhi University of Health Sciences) Bangalore.